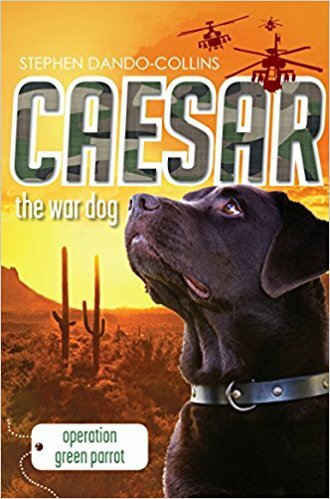 After the brother of Mexican crime lord Carlos Marron—known as El Lorro Verde, or the Green Parrot—is killed when a rival gang sets off a car bomb in San Antonio, Texas, Carlos sees on TV that the now world-famous explosive detection dog Caesar has found a second bomb at the scene. Carlos orders his inept subordinates to kidnap the dog so that Caesar can protect him from future bombs. When Ben leaves Caesar in quarantine in Texas, the gang swoops. Now, Ben, Charlie, and the GRRR team have to locate and rescue Caesar in Mexico, in the middle of a deadly crime cartel war. Prior to writing this book, Stephen spent time in Mexico, tracing out Caesar's travels there, and did extensive research on the Mexican crime cartels.